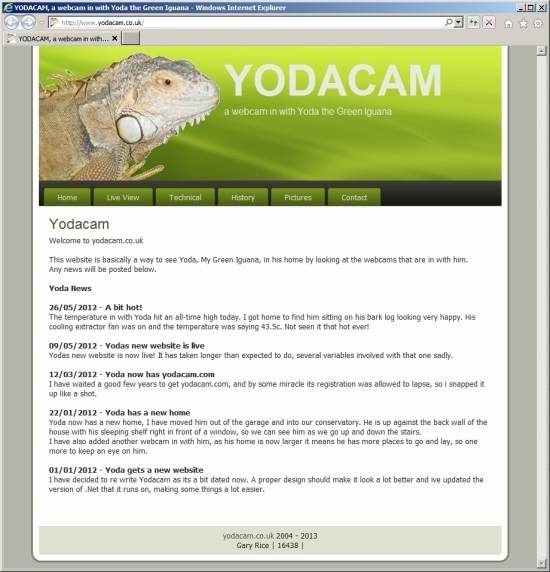 I set Yodacam up as a bit of a laugh so that I could put Yoda, my green iguana, on the web for all to view. Yodacam first went live on 22 July 2004 when I bought yodacam.co.uk, while yodacam.com went live 12 March 2012. Since going live Yoda has moved house twice ending up in a custom built home in our conservatory.